There’s Oscar-buzz about Melissa McCarthy’s snarling performance as a cranky, slovenly, misanthropic Manhattan author who is unable to pay her rent or care for her ailing cat. Can You Ever Forgive Me? highlights Melissa McCarthy’s dramatic gifts. 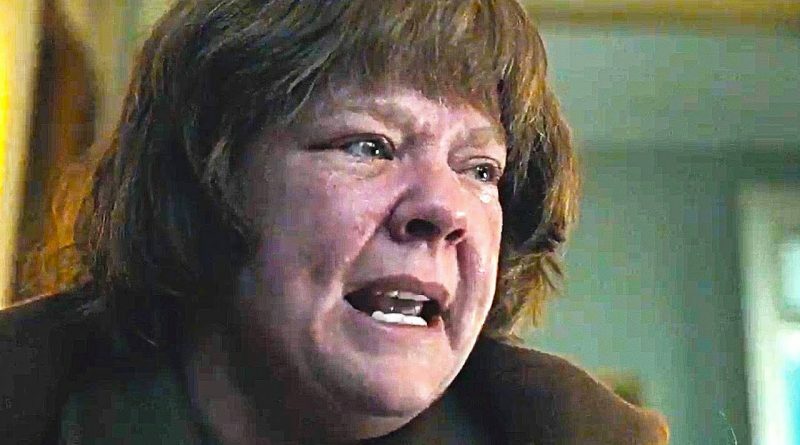 We who know Melissa McCarthy as a brilliantly talented comedic actress will expand our categorization with her dramatic performance in Can You Ever Forgive Me? McCarthy plays the real-life Lee Israel, in her fifties, living in Manhattan’s Upper West Side, eking out a living writing biographical histories. Tough times and her abrasive personality propel her into a downturn. 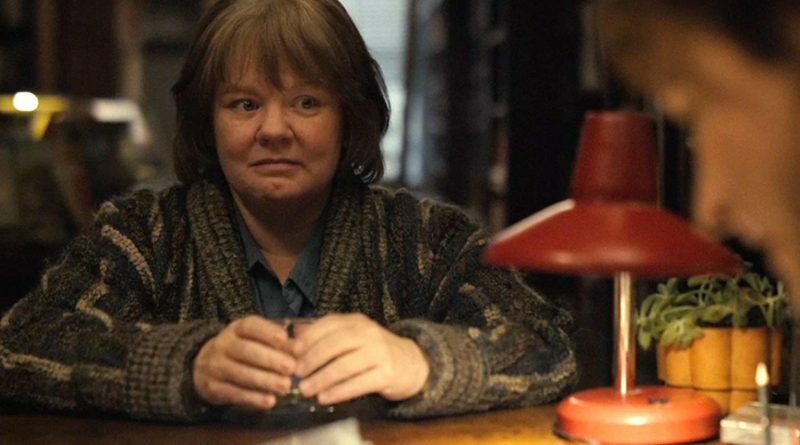 Creating a cache of brazen characters “from the outside in” has always come naturally to Melissa McCarthy because, she says, “I’m someone who just throws it all out there. 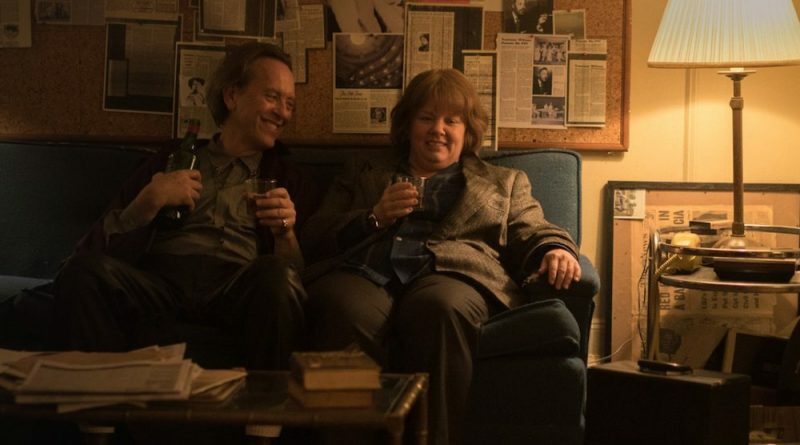 This probably isn’t a surprise to anyone, but I’m not guarded.” Given her natural inclination to be brash and lead with a smile, McCarthy said portraying her latest character, the infamously gruff biographer turned literary forger Lee Israel, in the new movie Can You Ever Forgive Me? required a totally different approach. 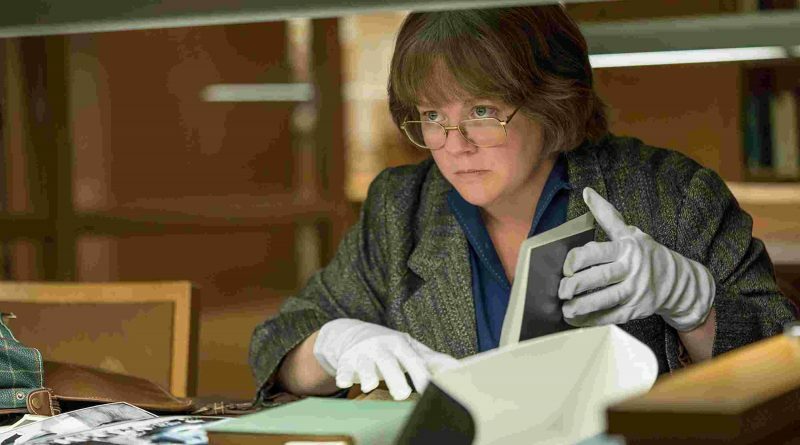 Melissa McCarthy gives a commanding performance in a rare dramatic role based on the true story of Lee Israel, a one-time New York Times bestselling biographer in the ’70s and ’80s, who has fallen on hard times and turns to a life of crime as a forger of letters from literary greats such as Noel Coward and Dorothy Parker. Melissa McCarthy’s extraordinary performance as Lee Israel, the literary swindler and forger, is inspired, complete and unforgettable. Her portrayal of the Hollywood biographer turned criminal is touched with genius. 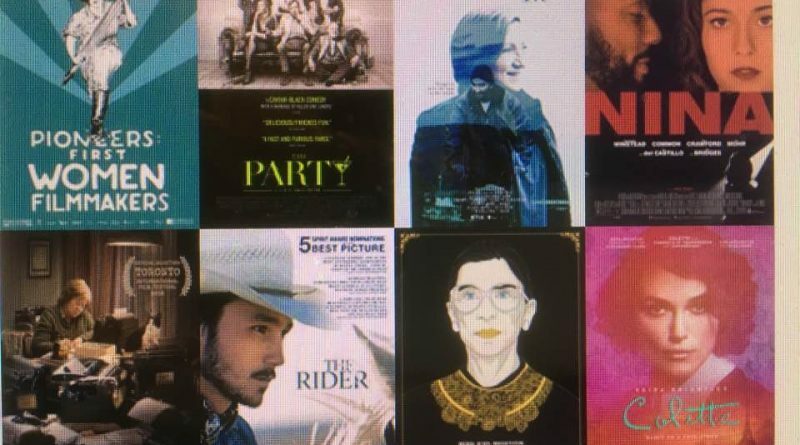 She’s not sympathetic and she certainly doesn’t become sympathetic, but McCarthy’s touching hardass earns our attention as a wounded person with no idea how to reign herself in.